You deserve a wellness routine that reflects your uniqueness. Our numerology-based assessment will prescribe a Mind +Body blueprint designed exclusively for you. Manifest supreme health and well-being with The Sagebook as your M.indful A.ction P.lan (Map)! Your Sagebook M.A.P. gets you in the habit of feeling good. Learn to embody experiences! The surge of joy when you reach your goals or reunite with an old friend. The spirit of wonder when you gaze upon the stars or watch the sunrise. A feeling of resilience each time you get back on your feet. A sense of peace in moments of real surrender. Collecting inspirational moments and storing positive memories becomes a passionate new hobby! Born in the Year of: ______. To calculate, add all the numbers of the birth year together and reduce to a number between 1-22. (eg: 2013 2+0+1+3=6). Now, find your number and corresponding atmatype here. To calculate, add the numbers of the day, month, and year together and reduce down to a number between 1-19. (eg: November 19, 2013 11+19+2+1+3=36; 3+6=9). Now, find your number and corresponding atmatype here. To calculate: add the numbers of the birth year together and reduce to a number between 1-19. Note: should be the same as the year, unless the year is between 20-22. Now, find your number and corresponding atmatype here. To calculate, add the numbers of the day and month together and reduce to a number between 1-19. (eg: November 19: 11+19=30; 3+0=3). Now, find your number and corresponding atmatype here. Learn more about the day you were born on. Calculate your rising sign, your moon sign, and your sun sign. Now, view their meanings. Calculate your Chinese zodiac. Now, view its meaning. Sign Up to become a member and learn more about your unique blueprint. Why Fill out an Assessment? Your MAP will guide you through the Curriculum based on your personal numerology and history. Your MAP will never be duplicated - each member has a unique journey through Curriculum AUM! Have an injury? Recovering? 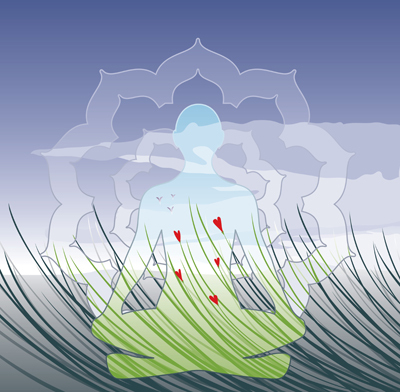 Your MAP will outline the best steps for you to take for self healing throug Curriculum AUM.